We worship the cosmic mysteries of matter and change through electrons, the space between them, and the magic that moves them. We worship the cosmic mysteries of matter and change through electrons, the space between them, and the magic that moves them. It is electrons, in partnership with the glorious proton, that determine whether or not an atom is helium or hydrogen, carbon or silicone. The realm of the electrons is where much work of great mystery is done. The Church of Electrons was established as a panspatial network to establish fractaline understanding of electron-based fascination. We are tied by the electrons that bind us, and we harness the power of that relationship in our laboratory of psychic alchemy. Infinitely connected through the exchange of electronic units, scientific inquiry has guided us through many of our journeys, alongside a deep faith in the powers of electricity, mind control, and chaos magic. Since we worship the mysterious interactions of matter and space, our faith is open as to the specific deities of worship. Some followers may also subscribe to alternative faiths that require the worship of a specific deity, however in most of these alternative religions, the mystery of exactly how the cosmic interactions happen is left to the realm of the God(s). In this sense, The Church of Electrons can be seen as a type of “umbrella religion” that can also encompass many of the basic mystical aspects of other faiths, through embracing the common ground of the ambiguity (and possible impossibility) of human understanding of these great powers. We are also open to members of the congregation finding special affinity with other atomic and sub-atomic particles as their Saint of choice, such as powerful proton, the neutral neutron, the quirky quark, or the mighty muon. 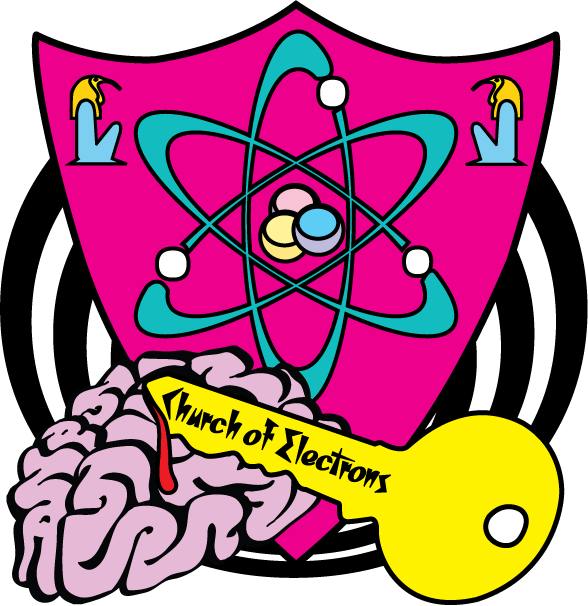 The Church of Electrons is inclusive, inquisitive, and a compassionate faith.